We’re not allowed to choose our electricity providers. If we dislike our service or believe our rates are too high, we have little recourse. Because we’re captive customers of a monopoly, our public utility is supposed to be regulated to ensure quality service and fair rates. Profits aren’t disallowed, but are capped, and are expected to cover the costs of service and investments as well as reasonable compensation for employees. But what about using profits for political electioneering? Are we really okay with our public utilities spending tens of millions of dollars on politicians and ballot initiatives that help further their bottom line at the expense of ratepayers? I’m not. And I’m not sure why any utility customer would be. In the past week, Arizona’s biggest utility monopoly, Arizona Public Service, has started disclosing documents that shed light on the vast amounts of cash they spent on political campaigns in the past six years. 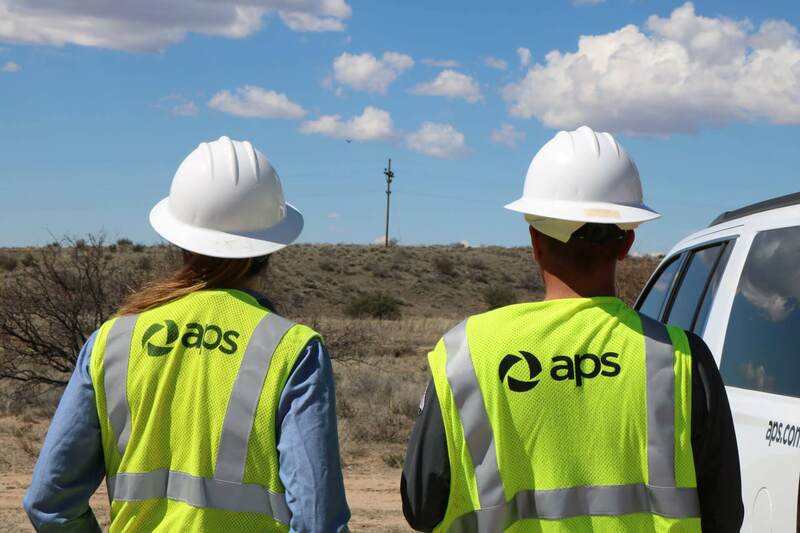 We’ve learned that APS secretly funneled $10.7 million in 2014 to groups supporting APS’s preferred GOP candidates for the Arizona Corporation Commission, the governing body that regulates public utilities and approves or denies rate hikes. Not surprisingly, the APS-backed candidates won that election. In 2016, APS repeated itself, this time spending more than $4 million on corporation commission races. And once again, the APS-backed candidates won. In 2017, APS cashed in on its $14 million investment, winning a substantial rate hike approval from the very commissioners they helped elect. With increased profits and little blowback from the general public, APS took an even bolder step in 2018. The monopoly spent an astonishing $37.9 million on a campaign to defeat a clean energy ballot initiative. The initiative went down in flames, ensuring APS could continue to delay its efforts to ramp up clean and renewable energy. In just a few short years, the company used the profits they made off of its customers and shareholders to spend more than $52 million on electioneering. Let that sink in: $52 million. Sadly, that $52 million doesn’t even include the money the company spent on other candidate races or the tens of millions it spent on lobbying and marketing. And why would a monopoly need to spend tens of millions of dollars on advertising in the first place? APS uses semantics to argue that ratepayers don’t actually foot the bill for their political spending. Instead, APS’ parent company, Pinnacle West Corporation, pays for everything through its earnings. And where does APS derive its revenues and earnings? From its captive customers, that’s where. Though we cannot simply leave APS if we object to their dirty politics, we can do a couple of other things. First, we can vote for commissioners who are not beholden to the utilities they regulate, ones who are not afraid to monitor and adjust profit margins. We did that in 2018 by electing Sandra Kennedy to the commission. Prior to Kennedy’s election, Commissioner Bob Burns was the lone vote against the APS rate hike in 2017 and in the minority in his request for documents outlining the company’s political spending. Now that Kennedy is in office, APS has been put in a corner, essentially forced to hand over the documents Burns had been requesting. We need a few more commissioners like Burns and Kennedy. The other thing we can do is put pressure on the commission to ban public utilities from spending money on political campaigns. Totally agree. @CorpCommAZ has the Constitutional authority to ban utility campaign spending & could penalize any that engage in it by knocking down their rate of return, say 100 basis points, etc, or by fining them. Rate of return penalty would be more effective though. Who, other than APS, would argue with that suggestion? So get to it, commissioners. You have 52 million reasons to act. Nice one. We should all learn from this, that buying politicians is expensive so if you want your own start saving now. Maybe we could get a political savings account that you can use to save up tax free. But really this is Arizona so why is anyone surprised. Plain, clearly written work on an important topic! Who is the Arizona Mirror? Can I subscribe? Thanks! We have a daily newsletter that you can subscribe to by clicking here.